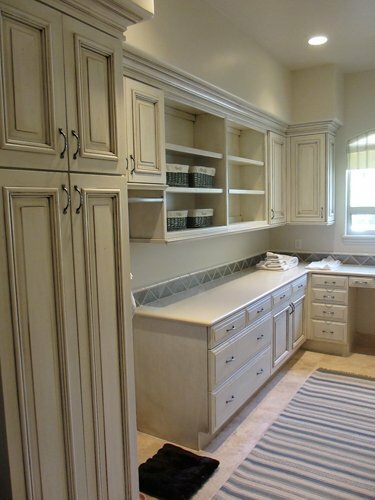 BlogHome » BLOG » Is Cabinet Refacing a Viable Alternative? When you lived in your Scottsdale or greater Phoenix home for long enough, the daily wear and tear of family life can make things look run down. Kitchens and bathrooms often show wear and tear the most as they are the most difficult rooms to renovate. Paint or wallpaper, new flooring, and new window treatments will often do it for other rooms, but kitchens and baths are more complex and expensive. Getting the right bang for your buck with cabinet refacing can make your kitchen look new, but without spending thousands and thousands of dollars on brand-new stock, custom, or semi-custom cabinets. Cabinet refacing starts with removing the cabinet doors and drawers, then removing the drawer fronts. The cabinets fronts and sides are then covered with new veneer, laminate, or with rigid thermal foil (RTF). The cabinet fronts get new door hinges, the new cabinet doors are hung, and new drawer fronts installed. While the existing hardware can be used if it’s still in good shape, it’s more common to install different hardware for that custom look. Optional looks include glass door panels, crown molding, in-cabinet lighting, and custom storage options. The whole process takes anywhere from 3 to 4 days. But is it Right for Your Cabinets? Some cabinets are just too far gone or outdated for resurfacing to work. The cabinets should be smooth and sturdy, with face frames made from hardwood. Drawer tracks and shelves should also be in good condition before starting a refacing job. While local supply stores sell DIY kits or cabinet refacing, they are a very advanced project even with a kit. Do you want your cabinets to look their best? Of course, you do. 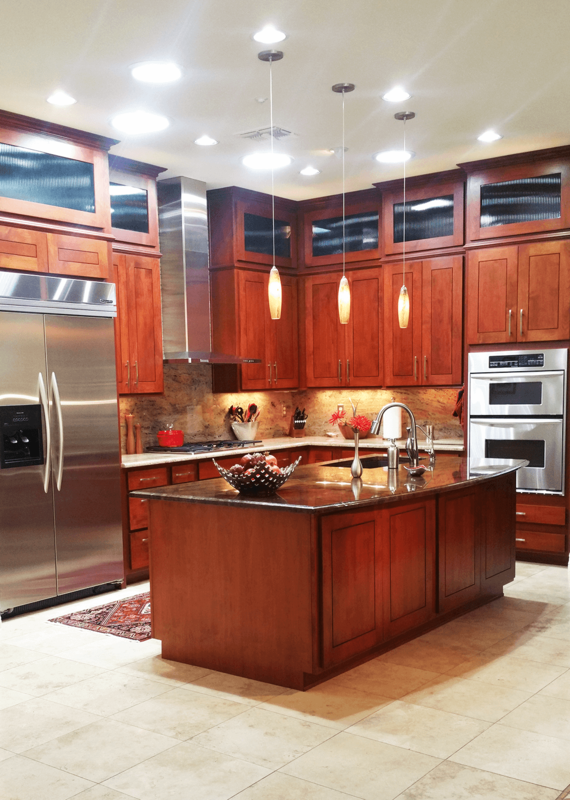 Better Than New Kitchens LLC has over 25 years of experience in Scottsdale and the greater Phoenix area when it comes to cabinet refacing. 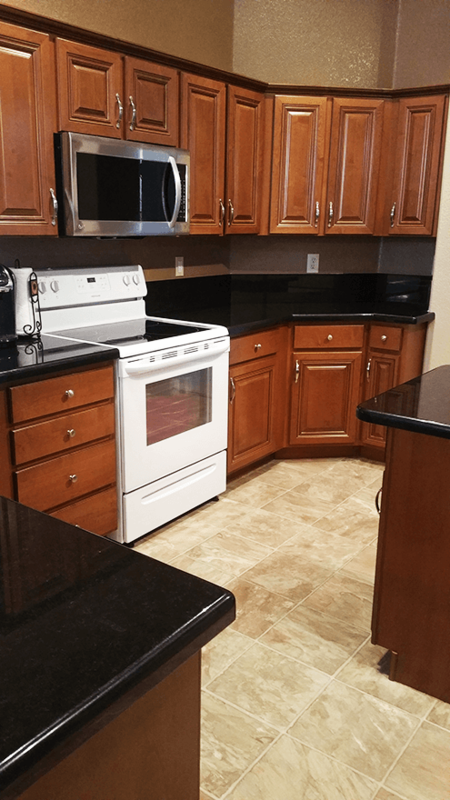 Your kitchen cabinets will be refaced by the owners themselves – not just an employee. To get started email us three or four photographs of your kitchen along with your measurements and then choose the look you want from our gallery. If you don’t see exactly what you want, we have hundreds of other options to show you or you can send us a description and photographs of the look that you have your heart set on. We will call you back quickly and email a quote, then one of the owners – not just a sales rep – will come out ringing samples, color options, and break down the entire process for you. Get started today!